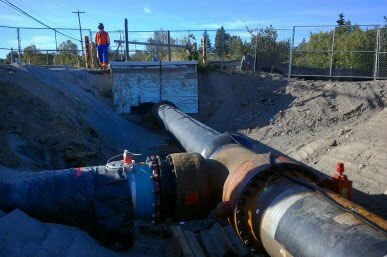 Customer installed new pipeline to feed untreated water to their refinery instead of treated water which would save approximately $600,000,000 per month. The new pipeline needed to be monitored in the areas where the pipe was internally uncoated next to welded joints. Each of the 16 points were then environmentally sealed and buried.